In the LED screen world, there are more than just flat screens that create a beautiful, flawless picture. Today’s technology has allowed for many different kinds of specialty screens to be designed, creating a wide range of creative options for all applications. 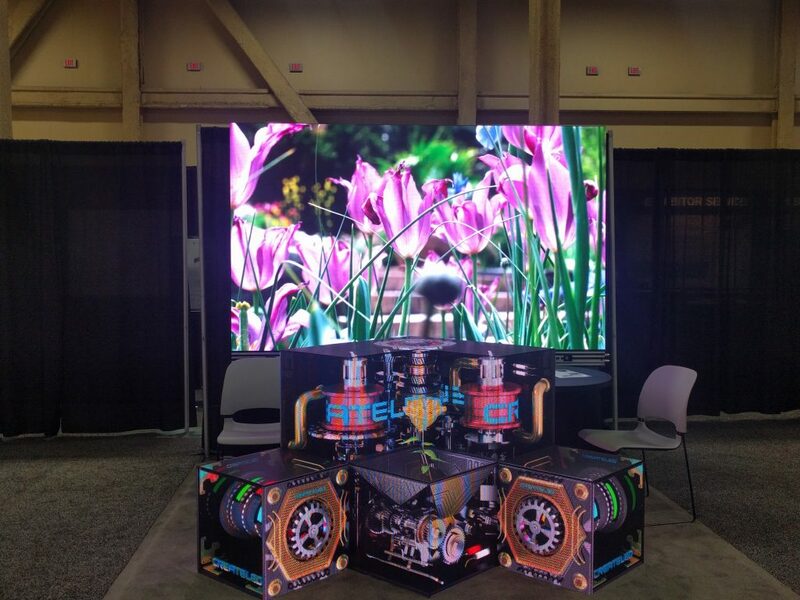 Such options include the CreateLED MagicBox, concave and convex capable panels, Blow-Through screens, and even interactive dance floor screens. 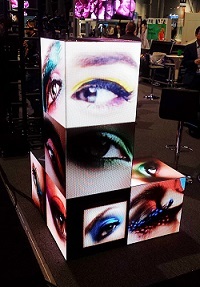 When talking about what makes an LED screen a specialty screen, it all has to do with the unique features that the product offers that no other product has been able to do before; a new shape, pixel pitch or its ability to be implemented in a brand new way. Outside of the standard flat panel that everyone and their brother are accustomed to seeing, almost every manufacturer has an LED tile that can curve either with built-in features, or by adding wedges to each panel to acquire a degree of curve anywhere from plus or minus 5 degrees to 15 degrees. The curve of the panel is so extraordinary because it takes the image to a whole other level that may create more movement in the picture making it more attractive. The curve is so much more than just even creating a circle or wave pattern with the panels. The effect that the curve gives is almost 3D like and engages the audience. This allows a set designer much more freedom with creativity to wow the audience. Some manufacturers have even been able to create panels that can curve up to 45 degrees per panel. Many companies implement a curved design just for the difference factor in order to stand out, but they do have to pay for it. In many cases, the curved feature alone can raise the price of the panels drastically due to a lot of the installation factors. When installing a curve-able screen, they are not difficult to set up, but you have to incorporate curved truss to fly the display matching the degree of the LED screens. Curved screens are typically used in rentals, however they could be used in a fixed installation based on what the end user desires. For example, if they have a curved wall in a boardroom, an LED display can be installed to match that curve. rented. The availability and cost usually prohibits it being used in a rental environment because it would be extremely costly if damaged. Overall, the MagicBox is a very complicated installation. Everything from the wiring, module placement, programming and content creation takes very detail-oriented individuals. Imagine you were trying to create the outer design packaging for a new product, but all of the packages had to create an image when you set them on top of each other. The content has to be made in 2D and unfolded like a box. MagicBox would be used more for a fixed or permanent installation, such as a theater production. However, we have used it in many other applications such as being featured in a television show that ran only a few weeks. The Blow-Through screens are transparent in nature to allow wind and air to pass through the screen but never disturbing the image. This feature is so significant not only to prevent damage at windy, outdoor shows, but also allow natural light to pass through to enter a store or office space. The Blow-Through screens are critical for those outside shows in particular where you expect strong winds to pass through. The transparency helps to diminish any sway or damage to the panels themselves or surrounding equipment, vehicles or buildings. 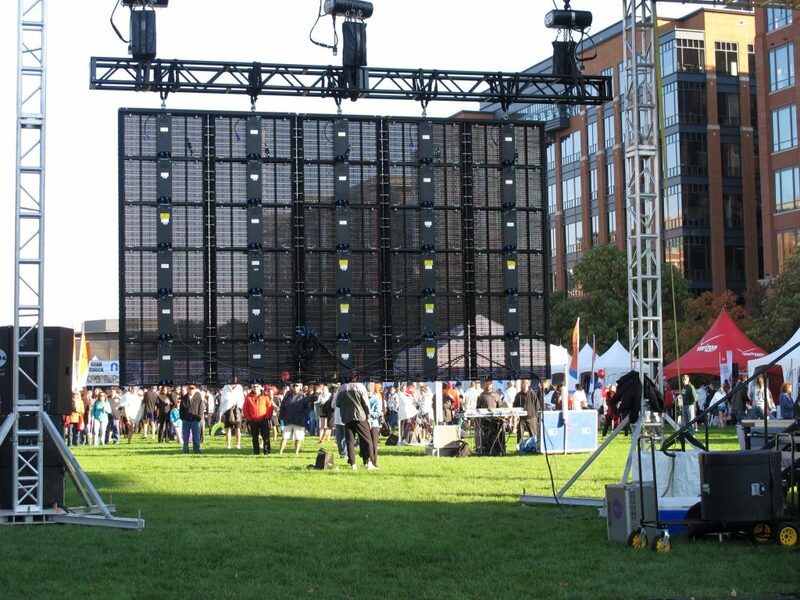 Although, these screens carry standard LED for use in large scale outdoor stadium shows. When building with Blow-Through screens, it is the same as building a straight wall only the LED is transparent. Blow-Through screens are also mostly used in rentals, however, they could be fixed installed based on what the customer is trying to create and the space they are going to be implementing the screen to. One of the most popular recent requests is for the interactive dance floor. While the floor itself is easy enough to build and install, it’s the content and driver that adds cost to any project for the interaction. However, dance floors are still available without the interactivity, displaying pre-built content like any other upright screen. Don’t forget about your runways either. An LED floor can add excitement to runway shows. There are many different events that these specialty products can be incorporated into other than being solely used for a permanent installation. Many specialty products are not for rental use when new, but then later on adapted to permanent install in creative applications. The MagicBox is not readily available enough to be used in any applications at this point. It could be used for corporate trade show environments and television productions. Content has to be created in such a unique way for these specialty screens that it inhibits its use for everyday applications. 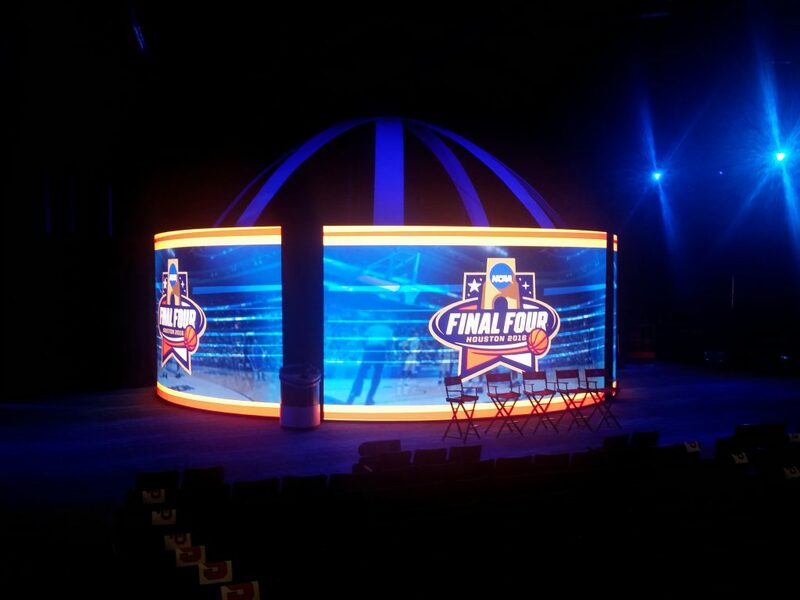 Curved screens are good for ballrooms and arenas where the audience is seated in more of a circle as opposed to just straight on, to maximize a trade show booth floor or just to get creative on set. Blow-through is perfect for outdoor events such as concerts and large fairgrounds or outdoor signage.